South Saqqara is actually a completely separate area from Saqqara Proper, located about one kilometers south of the pyramid of Sekhemkhet. It was founded in the 6th Dynasty. Like elsewhere, this is not simply a pyramid field, but a complete necropolis with various tombs, including that of Shepseskaf who may have not built a pyramid but reverted to the Mastaba style of tomb. 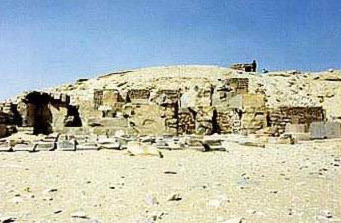 As for pyramids, a number of important kings of the Middle Kingdom built at South Saqqara, including both Pepi I and II, among others.